“I will take the boy,” Obi-wan said volunteering himself for the task. Was it out of duty? After all, the boy will need to be protected during these vulnerable years. Or was it out of guilt? Since it was mostly his fault the powerful Jedi, Anakin Skywalker, turned to the dark side and is leading the hunt to wipe out every Jedi in the known galaxy. He, Kenobi that is, was the one who trained him, and guided him in the matters of the force. He was the one that was blind to the signs and overlooked the faults displayed by Anakin. He was Anakin’s teacher, his friend, his… father? Or perhaps a little of each. These might be the thoughts running through Kenobi’s head as he first stepped foot once again onto the sands of Tatooine holding the precious bundle. Obi-wan Kenobi. The mysterious character introduced to the world in Episode IV: A New Hope got many fans wondering about the “better days” after his famous monolog about the Jedi and the Empire. The one that goes, “For over a thousand generations the Jedi Knights were the guardians of peace and justice throughout the old republic. Before the dark time. Before the Empire…” In her holographic message, Princess Leia refers to Kenobi as a General in the Clone Wars and besought his help. The events of his younger life leading up to and through the end of the Clone Wars are now known. It is also known, he winds up on Tatooine. So much of his life has been told and he has served many roles throughout his life. He has been: the Jedi, the Master, the Padawan, the General, the Hero, the Negotiator, and the Hermit. This last role as the hermit, we see him as a graying old man, a wily wizard, so to speak, becoming a teacher for the second time. Having been in hiding since the end of the Clone Wars and assuming it has been about twenty years; one wonders has he truly been on that lifeless rock for the whole time? Other questions arise, as well. How did he come to be known as “Crazy Ben”? How did he settle in? Why did he choose that hut that seems so far away from the Lars farm? These questions and more are answered in this book. This book is a western set in the Star Wars universe. In fact, it was like reading the story of Pale Rider in space. One could see the movie play out before one’s eyes with every turn of the page. The mysterious stranger riding into town pretending to be something he is not; trying to hide from, or run away from his past. There is a family that helps him settle in. It is unwanted at first, wishing to not be any trouble, but the stranger slowly accepts. Through certain circumstances, the daughter becomes infatuated with the stranger. In both stories, that character is sadly underused. She could have been a wee more curious about the stranger and a bit bolder in her actions. This would result in perhaps more awkward situations; leading to either some comic relief or dangerous ones that threaten her life or the stranger’s. 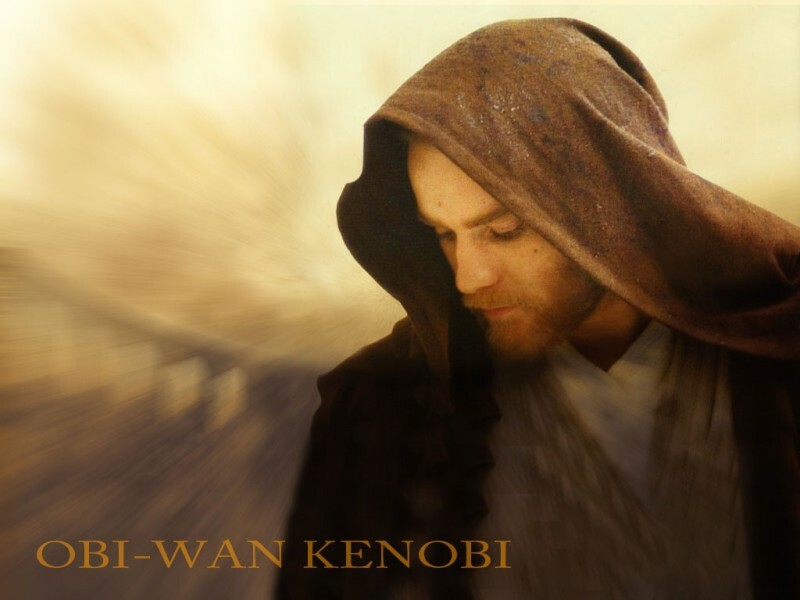 Picturing Ewan MacGreggor in the Obi-wan guise superimposed over Clint Eastwood’s Preacher character in Pale Rider in the sprawling deserts of Tatooine was a unique experience. Obi-wan and Preacher had unique and deadly skills that were impressive when displayed. They both had seen combat in some form before going into hiding. What is interesting is Eastwood’s character chooses to be a man of the cloth, whereas Obi-wan was a member of a religious order and is trying to distance himself from it. Since Order 66, that religion has been banned and its members are marked for death. They both cannot hide from who they really are and eventually the secret is revealed in some way. 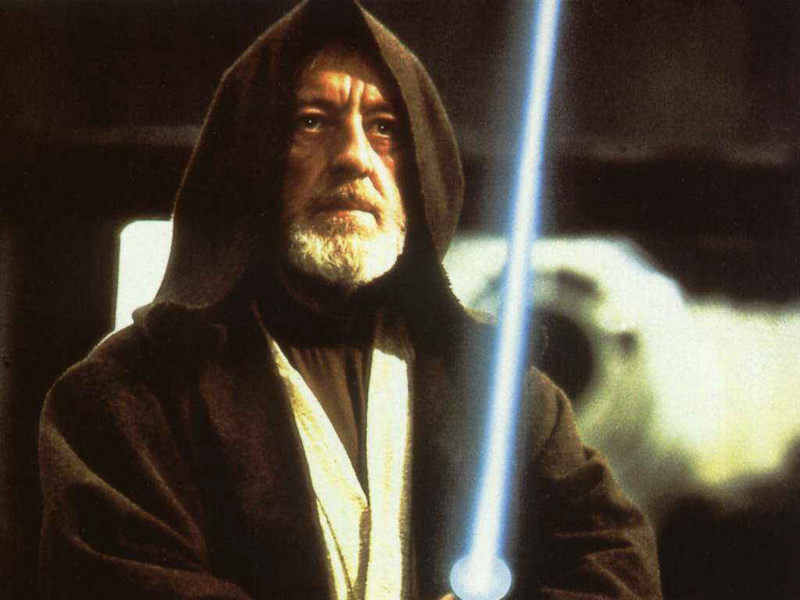 Both Obi-wan and the Preacher must face who they are and confront the antagonist. Using their special skills and their wits, they confront the antagonist and resolve the problem in an exciting way. 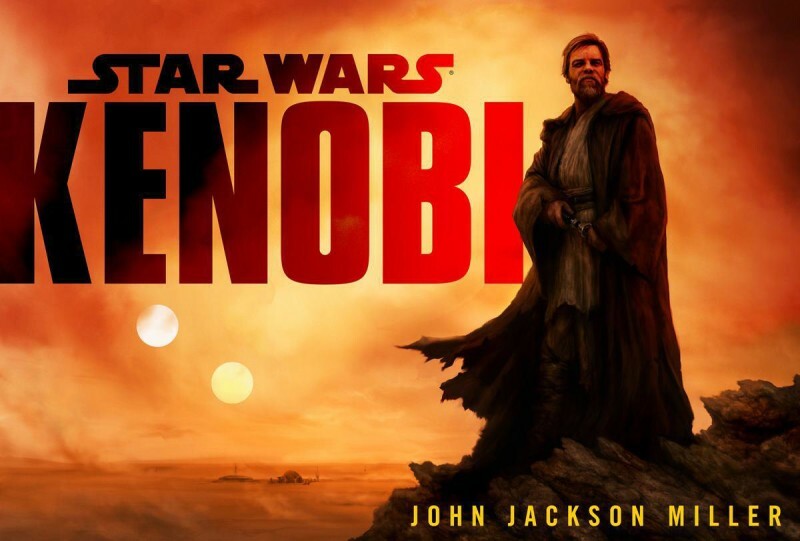 The author, John Jackson Miller, is relatively new to the Star Wars universe, having only written two Star Wars novels so far. However, that does not show in this story. It reflects the author’s skill in crafting a tight story with likable characters that seem real and make real decisions. As such, the text flowed off the page and painted a picture in such a way that seemed one was watching the story unfold on screen rather than reading words off a page. The descriptions are vibrant but not cumbersome. The settings are familiar enough to where the author doesn’t need to use whole paragraphs to describe them. This allows the author to jump right into the action and keep the story going, if sometimes only at a moderate pace. The story is slow in the beginning, but what story isn’t? There is a reason it is slower: life on Tatooine is slower than that of the rest of the galaxy. It is especially true in the oasis, site of Dannar’s Claim, where much of the story takes place. It is a small, but growing farming community just outside of Anchorhead and about an hour from Mos Eisley by land speeder. The author builds the story from this region giving the reader a feeling what each character’s life is like before the events of the story begin to take shape. Obi-wan, having just delivered his precious package to Owen and Beru Lars, is now looking to settle down and watch over them. His goal is to not attract any unwanted attention. Along the way, he sees a young girl riding a runaway animal. His Jedi training kicks in and before he realizes what he was doing he rescues her. She (Kallie) and her mother (Annileen Calwell) are surprised and thankful for the gesture. Annileen insists on hosting him for the night. She happens to own and run the general store which is more than just a store. It is a restaurant, a bar, an inn, a small ranch, and a moisture farm. He is able to politely refuse at that time. In a small town, rumors spread quickly and this was no exception. His heroic deed grew to legendary proportions almost overnight. Soon, he visits the establishment and gets caught up in, albeit reluctantly, the town’s and specifically the Calwell’s problems. What is a Jedi in hiding to do when his heart and duty calls for him to take action, but the Force urges him to protect the new hope of the galaxy? The answer is a curious and somewhat frustrating story where Obi-wan tries to stay on the path toward his new goal, but things keep pulling him away. Annileen wants to get to know him better, but she is rebuffed at every turn. Kallie is infatuated with him, but never does anything more than pine over him. These are just some of the minor plot threads woven into the story. The main conflict involves extortion, laundering, deception, racketeering, betrayal, gangsters, and even Tusken Raiders. This well written story doesn’t necessarily speed along to the end. Instead, it moseyes and shuffles its way to the conclusion. It takes its time to develop some interesting characters that one cares about, including the antagonist. Here was a person with real problems that seemed to compound themselves with every solution he tried thus pushing him into a desperation type mentality. It is amazing that not unlike the Sith where just two of them recently brought an entire galaxy crumbling to its knees, one person can ruin an entire township. Kenobi, for all his Jedi training, falls into the middle of this and tries desperately to solve this with as little fall-out as possible. The cover art was chosen well as it reflects this. It is a strikingly simple design evocative of the story contained within. 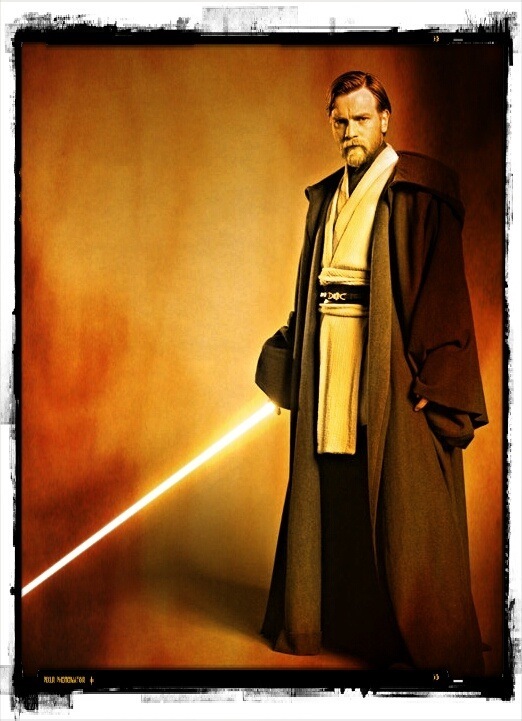 It is a picture of a younger Obi-wan, circa the end of the Clone Wars. He is standing with his lightsaber ignited in a close defensive posture. A weary but determined look covers his face. A stalwart guardian of the once majestic but now defunct Republic. The deserts of Tatooine are barely seen in the background as he looms large in the picture. The title is splashed across the top and bottom framing this somber figure. It speaks to a classic time in history, a turning point. Like the gunslingers of the Old West, he is now part of the many legends that have spawned with the passing of the Jedi Order into the realm of myth and will grow with time. Speaking of legends, this story is now part of the Legends line of the expanded universe. Disney has slapped this label on just about everything that was produced before they took over the Star Wars universe. It simply means it is non-canon and the events may, or may not have happened. As such, one can take the events of the story as a sort of “what if,” or speculation. Either way, it is an exciting and intriguing look into a part of Obi-wan’s life that is not really talked about much. This tale is highly recommended for fans of Obi-wan and/ or the Star Wars saga in general.